Update : Tim Scott R-SC wins! Get used to “Congressman Tim Scott.” He’s declared the winner in an R+10 district in South Carolina. 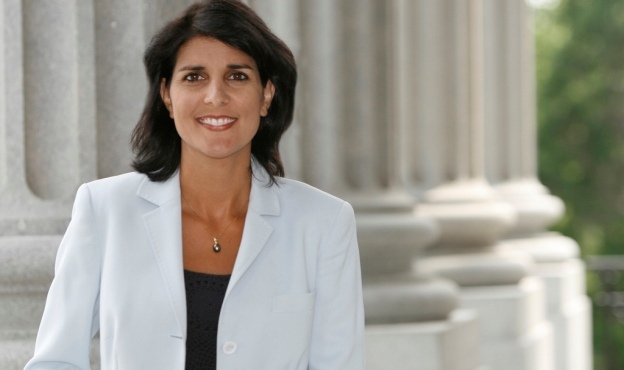 AP has called the SC GOP Gubernatorial run off for Nikki Haley! June 22, 2010. Tags: Darling Nikki, Foo Fighters, Mike Lee beats Bridgewater in Utah, Nikki Haley, Nikki Haley wins SC GOP Run off, SC GOP Gubernatorial run off, Tim Scott wins SC primary, Will Folkes. Entertainment, Music, Politics, Popular Culture. Comments off.